Against the backdrop of tough market conditions, now more than ever, the marketing and promotional efforts of sassda have a vital role to play in growing the consumption of stainless steel in the southern African market. In line with this, we have launched our Eiffel Tower competition where the winner will get an all-expenses paid trip to Paris worth R125 000. 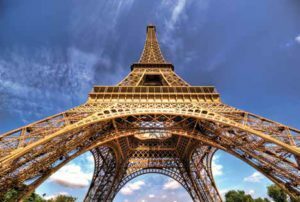 Several years ago, the International Stainless Steel Forum (ISSF) asked the question: “What if the Eiffel Tower had been made out of stainless steel? How much money would have been saved?” With this competition, we attempt to find the answer. The newly launched life cycle costing (LCC) App (which is available from the Google Play Store or the Apple App Store), or program (from the sassda website), is the linchpin of the entry process as it allows entrants to input various sets of relevant data to calculate the LCC of the Eiffel Tower and compare this to what it would have cost if it had been constructed from stainless steel. South Africa’s history in some ways makes it a challenging place to do business. New legislation intended to address injustices of the past means that new approaches are required. For some companies, this has involved looking at ways to meet the letter of the law without embracing its spirit, implementing policies that tick just enough boxes to allow compliance, while continuing to operate as they always have done. 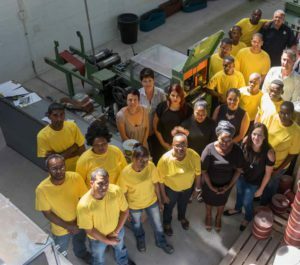 We spoke to Sonja Klopper, managing director of Ekamant, about women’s roles in the South African stainless steel industry. ARE WOMEN UNDERREPRESENTED IN THE STAINLESS STEEL INDUSTRY? In the context of leadership, yes. There are many women that work admin positions in our industry but in sales and leadership, they’re probably under-represented. What could’ve made this timeless beauty just a little more beautiful? In 1889, the Eiffel Tower cost $1 495 137.43 to build. Since then, this iconic landmark has been painted every 7 years, (a total of 17 times), using 50 tonnes of paint every time, taking 25 painters up to 18 months to complete the job. What is clear is that if the Eiffel Tower had been made from stainless steel, the maintenance of this global symbol of engineering ingenuity would have been easier, more costeffective and would’ve made it even more staggeringly beautiful. 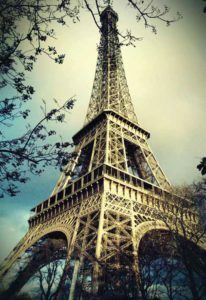 When the Eiffel Tower graced the opening of the 1889 Exposition Universelle, World Fair, to celebrate the 100th year anniversary of the French Revolution, it was the tallest building on earth. Standing at 300m it almost doubled the height of the Washington Monument – the previous holder of the record. In the 1950’s the Eiffel Tower grew an additional 24m, allowing it to overtake the Chrysler Building and once more claim the title of tallest free-standing structure on the planet. • Download the Sassda Life Cycle Costing App from the Google Playstore or the Apple App Store. You can scan the QR code on this page. Alternatively you can use the sassda website LCC program. • Assume a 100 year design life, with an average inflation rate of 1% and a cost of capital of 2%. All the information required to perform the LCC calculation is in the Table below. • The Eiffel Tower is painted every seven years entirely by hand. No rollers or spray guns are permitted only brushes. • There is 250 000m2 of surface to paint. CASE STUDY: A walkway in a copper plant in Chile in 2007. Two stainless steels (a utility ferritic, such as 3CR12 and a lean duplex, such as LDX 2101) were compared with mild steel. It was assumed that the utility ferritic and the mild steel would have the same gauge due to similar strength levels, however, the higher strength of the lean duplex allowed for down gauging by 25%. 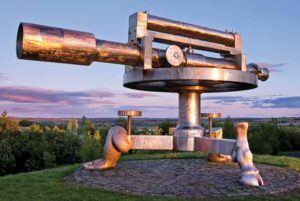 High up on the edge of the moors in County Durham, on the site of a former steelworks, is a powerful piece of art. In the 1960’s Consett Steelworks made some of the highest technology steel in the world, but in September 1980 the steelworks shut down, ending 150 years of iron and steel-making in the area. 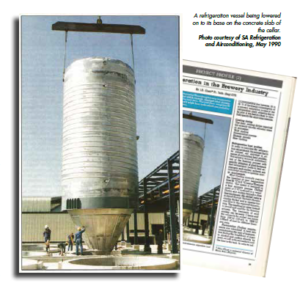 The use of stainless steel in the brewing industry over the past three decades in southern Africa has resulted in failures of equipment caused by corrosion and structural defects. 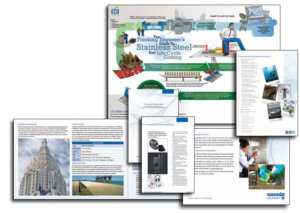 Root cause analysis has been carried out by various users, industry specialists, fabricators and academic institutions resulting in the development of new standards in the design, fabrication and use of stainless steel for equipment and piping systems in the industry. A sassda facilitated visit by one of its members, Kenyan-based stainless steel fabricator Desbro Engineering to a number of South African counterparts has resulted in a training partnership between the South African Institute of Welding (SAIW) as part of a joint initiative to boost the skills base within the Kenyan stainless steel sector. The visit also resulted in Desbro securing a more satisfying primary supplier contract with a local stainless steel producer that will see the company’s production cycle benefit from shorter lead times and reduced duties. Desbro has also been able to liaise with local fabricators resulting in the formulation of technology agreements. In the November special awards issue of the Stainless Steel magazine, ND Engineering were the runner up in the manufacturing innovation category. The article published on the company’s award said that ND Engineering were the designers of the new Falling Film Evaporators, this is incorrect, Tongaat Hulett are in fact the designers. Basheer Noorgat passed away in early January 2017 at the age of 40 having devoted many years to the stainless steel industry. 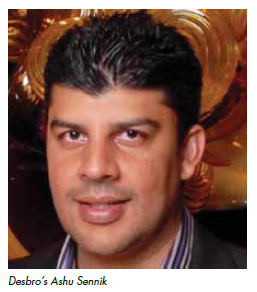 His company, NMC Exquisite, has been a very active member of Sassda for almost 20 years, and Basheer joined the Sassda Main Committee in June 2016. 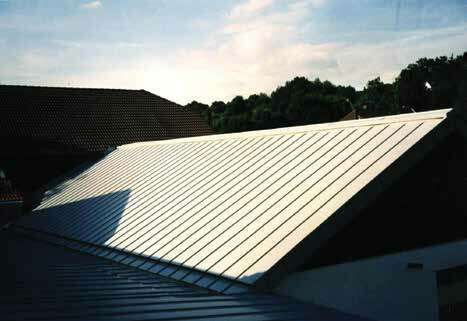 Stainless steel has been used for roofing and cladding of buildings for almost as long as the metal has been in production. 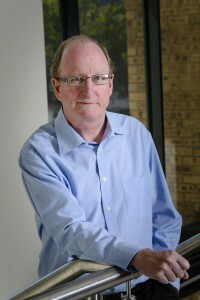 However, in South Africa uptake of the product by the building community has been slow and sporadic. 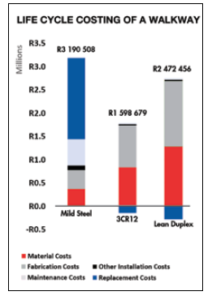 In years gone by sassda and Middelburg Steel & Alloys, now Columbus Stainless, have made attempts to grow this potentially exciting application, but have been largely unsuccessful in penetrating the hold that aluminium and coated steel have on the market. 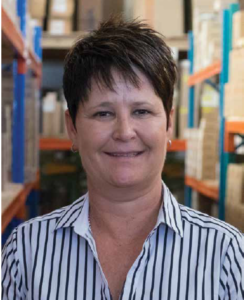 Stainless Steel magazine spoke to Wendy Turton, the CEO of Elcarbo Industrial Supplies, one of South Africa’s leading suppliers of consumable materials for the manufacturing and fabrication sectors. 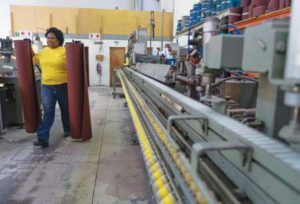 Wendy is a notable Cape Town business woman and leader in the industry. Her businesses have proven her successful commitment to female transformation in the sector. Wendy studied a B PHYS ED at Wits University and started working in the pharmaceutical industry in sales and marketing. She has had extensive sales and marketing training in the pharmaceutical industry both locally and internationally.